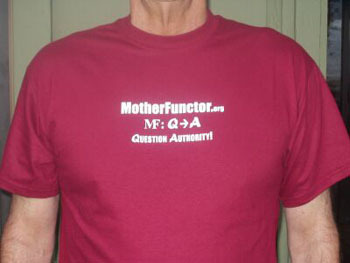 Support Campus Activism - Order your MotherFunctor.org T-shirts today! Description: Tshirts are Hanes Beefy® Tees 100% cotton. 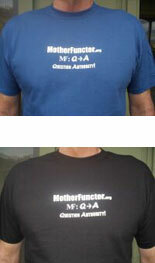 Price: $18.00 plus $3.00 US shipping & handling for each T-Shirt.